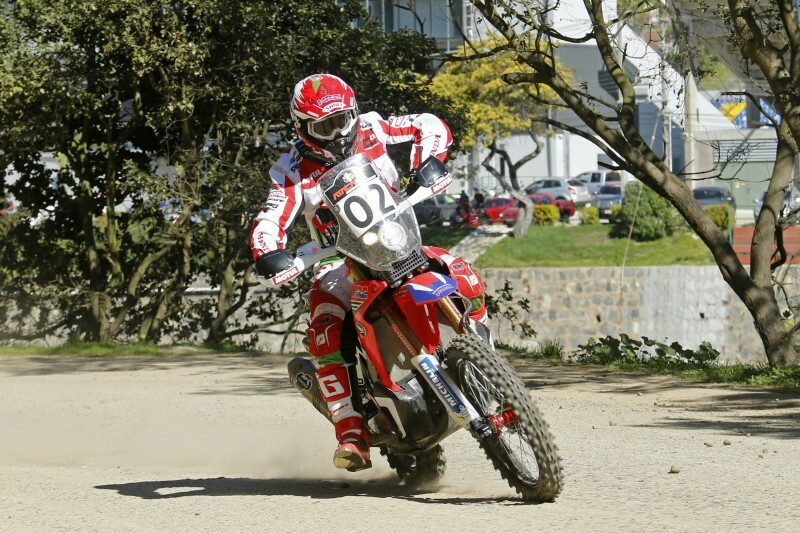 Paulo Gonçalves and Jeremías Israel got the fifth date of the FIM Cross-Country Rallies World Championship underway in Chile. 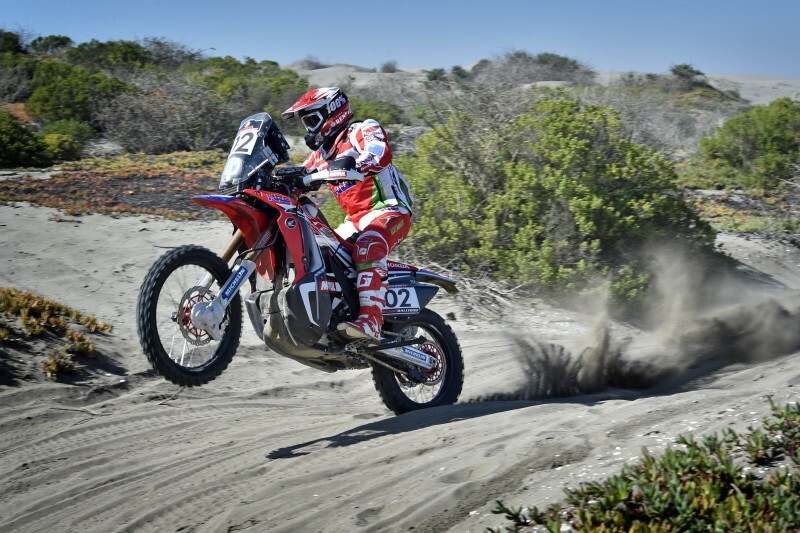 The first stage of the Atacama Rally proved to be a far-from-easy one, although the team remains firmly focused on their objectives. Torrential downpours over the last few weeks, which have left the tracks and race route in a poor state, finally forced race officials to drastically reduce the length of the opening stage of the Atacama Rally. 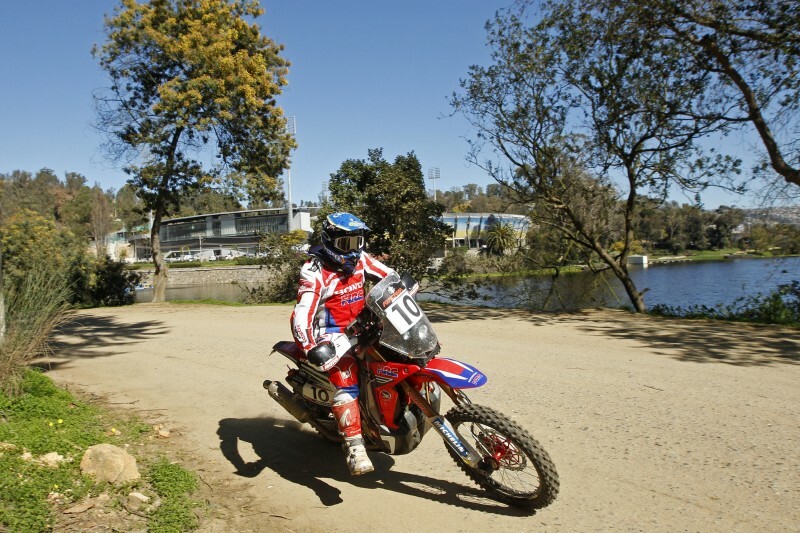 The opening stage of the FIM Cross-Country Rallies World Championship’s first visit to South America this year was thus reduced to a fifteen kilometre route that was raced over two laps. 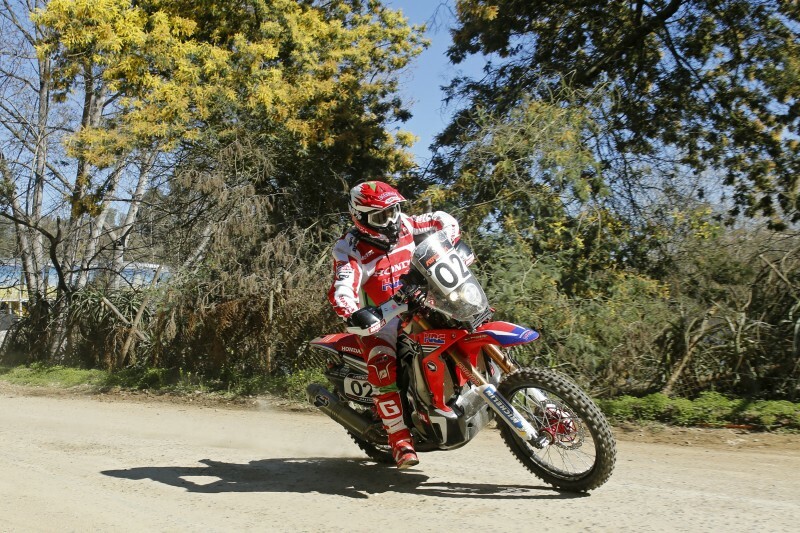 Paulo Gonçalves, after clocking the fastest time in yesterday’s prologue, had the privilege of choosing today’s starting position as the rally headed off from Viña del Mar. The Portuguese rider on the Honda CRF450 RALLY set off hoping to gain time on his rivals up ahead. 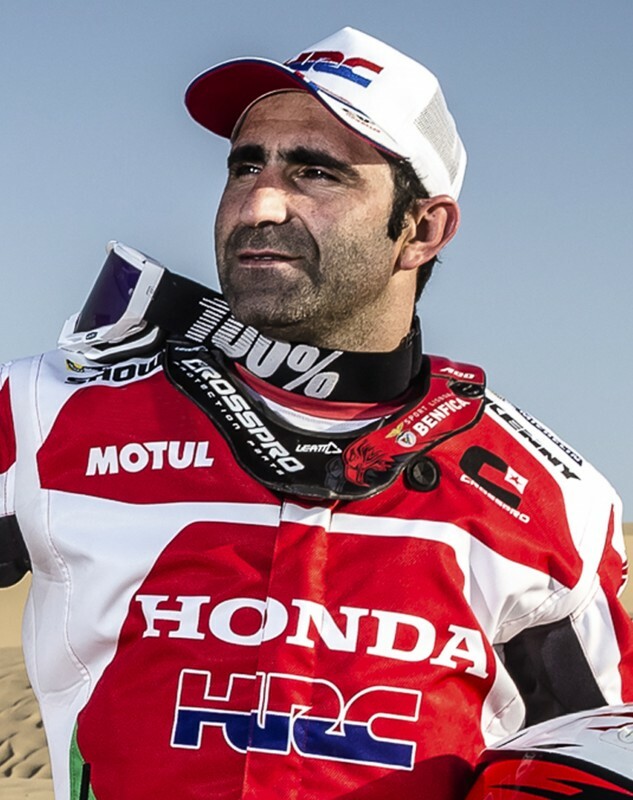 Nevertheless, an unexpected electrical fault in the dunes held Paulo up and saw him concede time to adversaries. 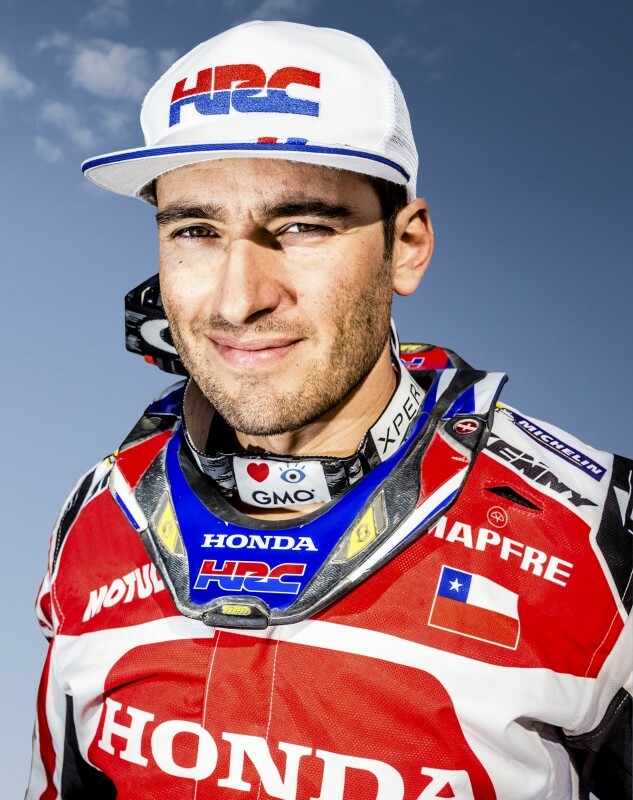 Chilean rider Jeremías Israel, seventh in the curtain-raiser, scored a similar final finish position on today’s first day of racing, likewise overcoming a minor electrical failure and experiencing a fall on second lap of the timed section. Tomorrow sees the second stage of the Atacama Rally with a special stage of 367.30 kilometres from La Serena to Atacama. Today started just the way we didn’t want it to. After winning the prologue yesterday, I had a good starting position. 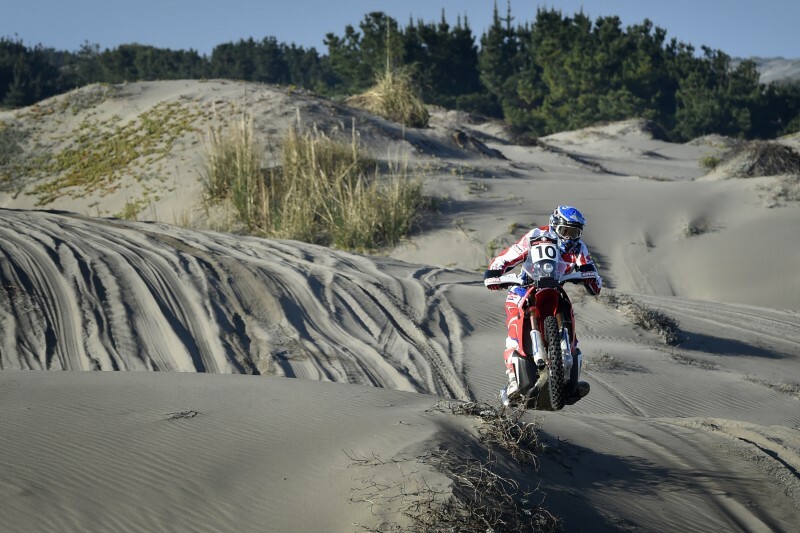 Today we started the stage with a route of two fifteen kilometre loops in the area of the dunes. Unfortunately, I had an electrical problem in the first timed section and I was stopped for over an hour. Now, we have to carry on, get some kilometres done and face up to what we have got and improve it to arrive at the Dakar as best we can. It was a tough stage for us. 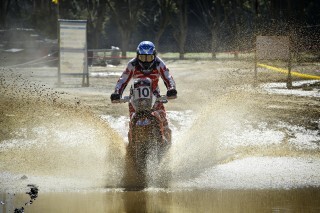 The first loop of the stage was a bad for me and then I found out when I came back that Paulo had had the same problem. At least I was able to get back on and finish the loop. Then on the second loop I had a decent ride. I had a little crash there but nothing happened and so from now on we will do all the kilometres that we can and just keep focusing on the main goal which is the next Dakar. After yesterday’s winning prologue with Paulo Goncalves we had the best starting position for today to make the most of it and set a good pace for the rest of the race. 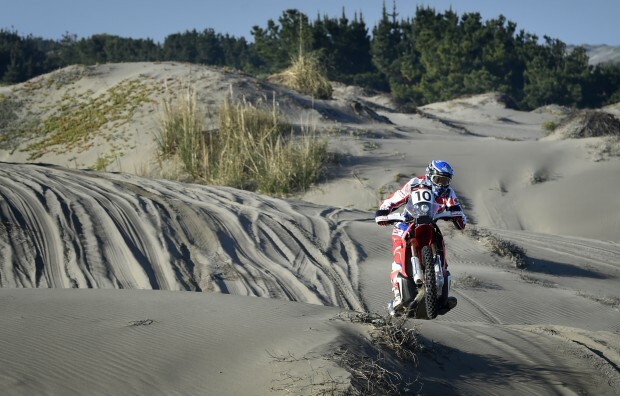 Unluckily, a few kilometres into the dunes Paulo suffered an electrical problem and had a long delay until he was able to get out of the special and on to the second loop. All the hopes for him of getting a top result are gone already. For Jere it wasn’t a perfect day either, he had a problem in the first part. 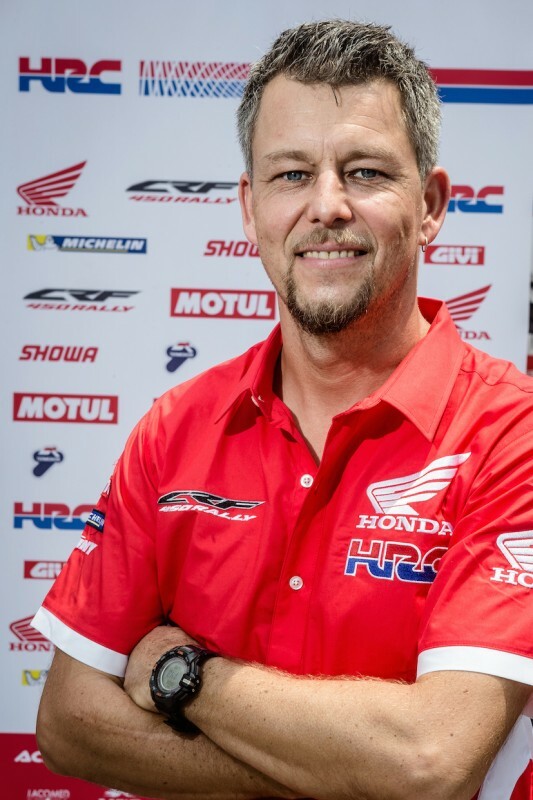 So we have to take it in our stride and take it as another experience and make the best out of the rest of the race and prepare for the Dakar.